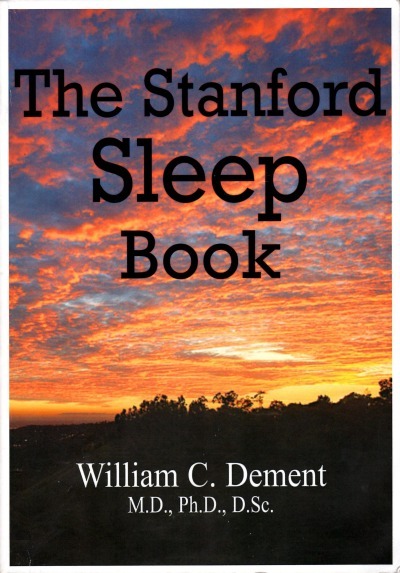 The Stanford Sleep Book - Now Available To The Public! The Stanford Sleep Book has been the core textbook of Stanford Sleep and Dreams since 1980, but has never been made widely available outside of the class until now. Written by Dr. William Dement, the pioneering father of sleep medicine, the text is filled with the most fundamental discoveries and knowledge accumulated since the field's inception half a century ago. Many of the discoveries came by way of Dr. Dement's own science, and he has colored the text with the stories and the contexts of this history. From the homeostatic mechanisms that control our sleepiness and alertness, to sleep disorders, dreaming, and the impact this all has on both our everyday lives and society at large, this text has everything you need to make yourself one of the most educated persons about sleep in the world. Individuals looking to self-educate to a fuller understanding of how their bodies work throughout the entire day, or equip themselves with the knowledge they need to combat persistent fatigue and sleep disorders. Groups looking to hold workshops or seminars to make the professions they work in a safer environment. Whether it be in transportation, medical services, or any other profession with long hours or shift work, knowledge of sleep and alertness can make an enormous impact in safety and performance. And especially, teachers looking to offer a class about sleep. It has long been Dr. Dement's dream that sleep education would hold a place more proportional to its impact on our lives in high schools and colleges around the world. Sharing this relatively new science with students will make the world a better place, and we thank you for your efforts! 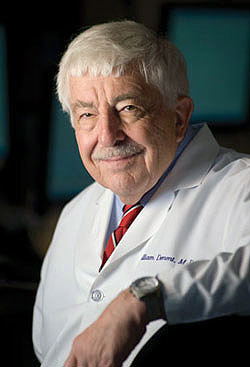 William C. Dement, MD, PhD is regarded as the world's leading authority on sleep, sleep deprivation, and the diagnosis and treatment of sleep disorders. 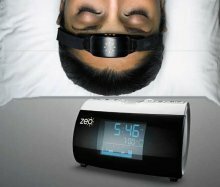 The study of sleep became a true scientific field in 1953 when Dr. Dement was able to make the first all-night, continuous recordings of brain and eye activity during sleep. It was a jump into a previously unknown world and, as such, the discoveries poured in for decades. Amidst the discoveries, Dr. Dement founded the world's first sleep laboratory for patients in 1970 and made it his mission to educate the world about sleep disorders and treat the millions upon millions of people it was now clear were affected by them. These exploits and more are detailed in small personal vignettes throughout the book. 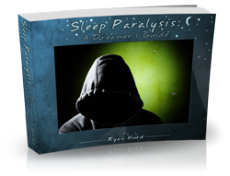 We offer both a physical copy and an electronic copy of The Stanford Sleep Book on this page. When ordering a physical copy you will also receive a download link for the electronic copy in case you would like to start reading immediately. Shipping: Shipping is free on all orders within the United States. International orders will have the cheapest possible shipping charge added at checkout. Bonus E-Book: Upon checkout you will also receive an immediate download of the electronic version of the text in PDF format so you can start reading as soon as you like. Proceeds help support carrying on the tradition of Dr. Dement's Sleep and Dreams class, as well as the continued efforts of this website to provide the best educational portal for sleep on the Internet. Delivery: Upon completing checkout, you will receive an immediate download of the electronic version of the Stanford Sleep Book in PDF format, as well as a download link via email for your records. Have any questions? Feel free to write to us. Comments or review? Share them below! Have you been influenced by the Stanford Sleep Book? If so, please feel free to share your thoughts in the comments section below. Additionally, if you have any questions or comments about the text or the ordering process, feel free to share them below as well.